It’s my birthday! Which, is still crazy to me. I can’t believe we are mid way thru October! I am spending the day traveling with baby girl and Michael, while he works. No crazy plans, just out for a nice evening…dinner, wine and of course dessert! So, I wanted to share my recent find! This black number could be my favorite LBD as of late. 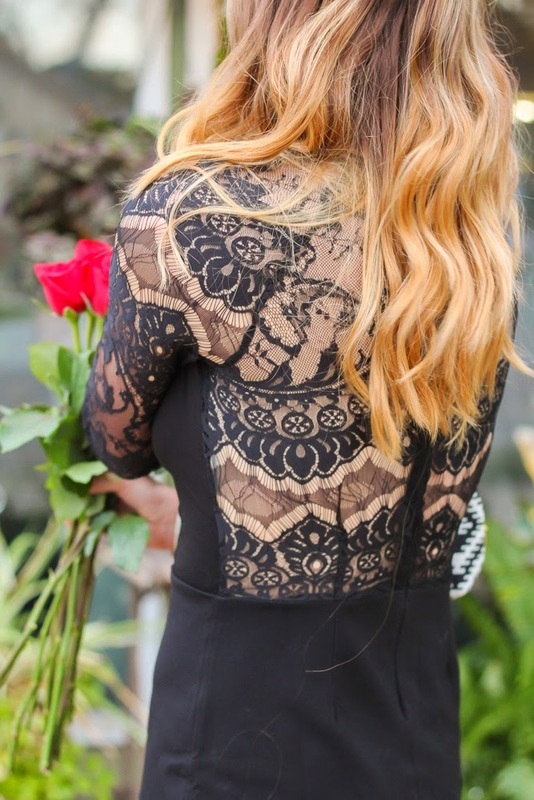 First off, lace and black are a perfect combo. I love the gorgeous lace design, which is cut in all the right places. 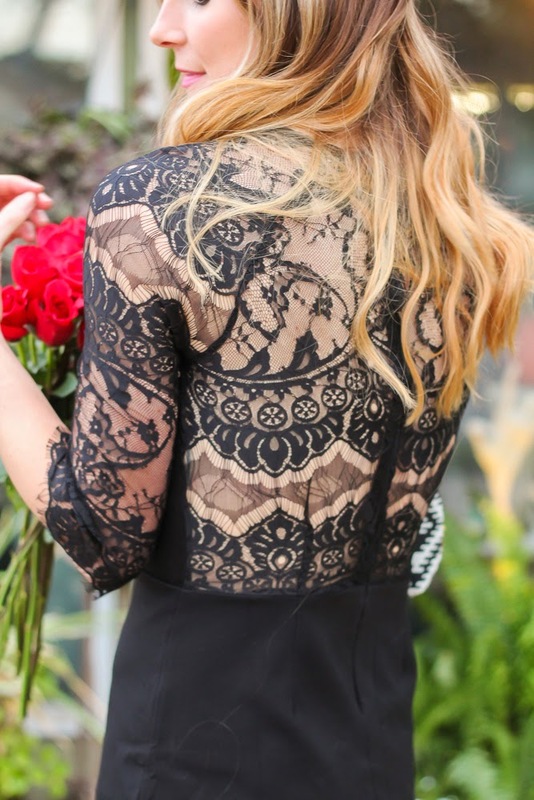 The half sleeves, make it work for cooler temps, while the lace is forgiving if it’s warmer. I paired it with a classic stiletto and an embellished clutch for a pop of color. PS-MAJOR SALE NEWS….Have you heard…it’s Shopbop’s friends and family sale… 25% off site wide!! And since Shopbop carries my most favorite designers, I plan on snagging a few pieces. This sale doesn’t happen often and I have been anxiously awaiting. Below are my couple of my favorite picks! Oh and one last thing, the Sam Edelman ‘Petty ‘ bootie is on sale too! Happy belated birthday! That dress looks incredible on you and I LOVE the clutch! That dress AND the clutch! Perfect combo. Happy birthday, hot momma!